Read more about the assassinations of an Hispanic officer and an Asian officer by a black man in “retribution” for white officers killing black men here , here , here and here . “Knockout Game” Escalates To Immolation As Blacks Increasingly Burning Whites To Death … Where’s The Outrage ? ” Did you know that there’s been a massive uptick in white thugs setting black folks on fire, yet the media has been virtually silent on this horrendous subject? Sure, we all have heard of Darren Wilson’s shooting Michael Brown, but there has been no coverage of the aforementioned. Like in zero… nada… nothing… zilch. What kind of racist “news outlets” would be so heinous to cover up such gross and unspeakable evil? Why haven’t the most powerful people in our government and the entertainment industry spoken out and condemned this obvious xenophobic act of viciousness? How come there has been no national #hashtag crusade or basketball T-Shirt campaign against these barbaric atrocities carried out by white-trash scum who have actually lit black grandmothers, granddads, fathers, mothers, teens and twenty-somethings on fire after dousing them with lighter fluid? What kind of gross silence and injustice is this? Huh? Huh? What’s that you say? You say, “That it is not white thugs who’ve been setting innocent blacks ablaze lately, but actually black thugs that have been igniting innocent white people; and these crimes have been grossly ignored by the Lame Stream Media,”? Whoops. My bad. I guess I should change my title then, eh? Yep, I mistakenly thought it was white pukes doing that to harmless black folks. This changes everything. Now it makes sense why we’ve heard diddly squat from the “news outlets” and the president and LeBron James and the St. Louis Rams and Al Sharpton; because in Obamaland blacks can literally light whites on fire and there be no “I’m White, Don’t Ignite” protests, or hashtags, or orchestrated mass condemnation of this sudden spike of the most heinous murders and maimings known to mankind. With the recent gruesome murder of Jessica Chambers, there is widespread speculation and argument as to whether her killer was black or white. Jessica, a 19-year-old from Mississippi, was found walking, engulfed in flames after her attackers put lighter fluid in her mouth and lit her on fire. The attack happened on December 6, in Mississippi. While we wait for the police to make an arrest, here are sixteen people from ages twelve to eighty-seven that have one thing in common: they are all white and they were all set on fire by blacks. Luke Fleischman — a black teenager, who was prosecuted as an adult and sentenced to seven years for the hate crime, set the 18-year-old on fire while sleeping on a bus in San Francisco. 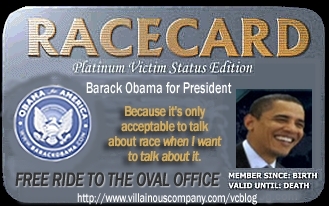 Many thanks to Doug Giles and Townhall for bringing us this virtually ignored development in race relations in the age of Obama to our attention . Be sure to click the link to Turner’s Clash Daily piece which provides the reader with photos of all the victims . ” While many in the streets of Ferguson and across the nation are beating the race-baiting drums after the decisions to not indict the police officers in the Michael Brown and Eric Garner cases, Garner’s wife, Esaw, appeared on Meet the Press with host Chuck Todd and Al Sharpton to speak her mind about her husband’s death. Eric Garner’s Daughter Is Asked If Her Father’s Death Is A ‘Black and White’ Issue – You’ll LOVE Her Response! ” Eric Garner’s daughter appeared on CNN to discuss the death of her father. Peppered with questions, it’s clear that reporters have already made up their mind on what happened in this case, and are on the same side as Rev. Al Sharpton and the race baiters. 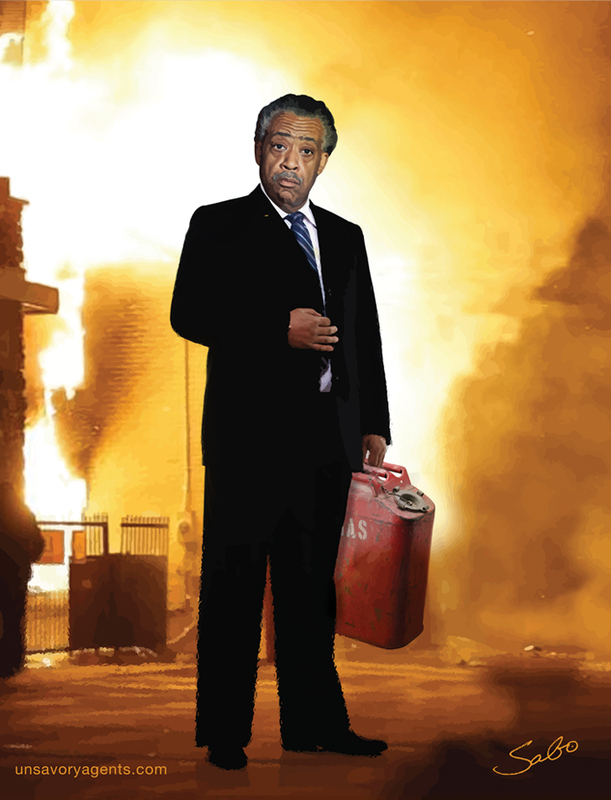 ” Al Sharpton, the race hustler who resembles an ambulance chaser, has been a busy man lately with a number of deaths involving black men in the news, but a Brooklyn family appears to see the man for what he is. The family of Akai Gurley, who was fatally shot recently in a housing project stairwell, has made it clear that Sharpton is not welcome at the man’s wake or funeral, according to TMZ. Sharpton has said he will deliver a eulogy at the wake. While the live feed is offline for the moment there are hours of first person video available for viewing at Ustream and we are sure that Rebel Z will be back on line with live feeds very soon so stay tuned . ” Last Saturday in Gouda, Holland, the police arrested as many as 90 people, the majority of whom were protesting against “Black Pete”, part of a traditional pre-Christmas children’s street party. We don’t normally associate a Santa Claus celebration with police arrests, so this requires a little explanation. Black Pete (Zwarte Piet in Dutch) is a blackface character in Dutch and Belgian folklore. He is the clownish helper of St Nicholas (Sinterklaas) in delivering presents to children. In the Netherlands, the Sinterklaas festival lasts for weeks culminating on Saint Nicholas Day, 5 December, and starting with the arrival of St Nicholas in a Dutch city by boat with hundreds of jolly Black Petes, amusing kids and giving them treats. It’s great fun and a merry occasion for the Dutch, and considered by both children and adults as the highlight of the year. This year it was the medieval city of Gouda that kicked off the festivities on 15 November, with the event broadcast live on Dutch national television. Thousands of parents and children gathered in the city’s market square. Traditionally the crowds — men, women and kids — as well as the actors portraying the Black Petes coming off the ships, are white people with their faces painted black, frizzy hair, golden earrings, large red lips and gaudy medieval costumes. It’s this that has been for some time the subject of acrimonious attacks from self-styled “anti-racism” activists. They claim that Zwarte Piet is a racist stereotype, a throwback to the colonial era in a now diverse, multicultural Holland, a country that must be tolerant of everything except, it seems, its past, culture, traditions, and identity. Leftist politicians have called for Black Pete to be abolished. The criticisms have polarized the Netherlands. The overwhelming majority of the nation wants Black Pete to carry on as usual, as revealed by a poll showing that more than 90% of the Dutch reject the idea that Zwarte Piet is racist and would not change his appearance. Over 2 million people — in a country whose total population is less than 17 million — signed a Facebook petition last year, calling for Black Pete’s appearance to remain the same. The latter FB page is Holland’s most popular ever. Holland’s anti-immigration, anti-Islam Freedom Party, led by one of the most popular politicians in Europe, Geert Wilders, has proposed legislation that would enshrine Zwarte Piet’s black colour in law. They want to protect Pete and with him Dutch culture, threatened to be “damaged from on high”. Belgium has a similar tradition and faces similar problems. Self-described human rights activist Maria Hengeveld, who writes for the Africa is a Country website, claimed: “In general, attacks on Zwarte Piet are widely interpreted as attacks on (white) Dutchness and threats to (white) children’s right to jovially celebrate their ‘cultural heritage'”. She went on to point out that politicians, lawmakers and big businesses “are sensitive to public feeling” on the issue. For example, Albert Heijn, Holland’s largest supermarket chain, went back on its promise to ban Black Pete from its stores after an enormous public uproar. Even the country’s Prime Minister Mark Rutte, who may sense a danger in displeasing his electorate, has backed Black Pete. What are we discussing? The FBI has nabbed two individuals heading for Ferguson who were allegedly engaged in straw purchases of guns, as well as explosives. Court documents say the two men, Brandon Orlando Baldwin and Olajuwon Davis, were arrested after they made false statements while trying to buy two pistols at a sporting goods store in Hazelwood, Missouri. They currently face only the firearms charges, though officials say other charges are pending. ” The early signs are that Loretta Lynch may share some of the same troubling views as outgoing Attorney General Eric Holder, which makes it even more important that the Senate do a thorough review and vetting of her nomination by President Obama to be the new attorney general. This is particularly true for those who understand how important the rule of law is to our constitutional system, something that Eric Holder has damaged during his tenure. Lynch, who is the U.S. Attorney for the Eastern District of New York (which includes Brooklyn, Queens, Staten Island and Nassau and Suffolk Counties), has made it clear that she would continue Holder’s war on election integrity. ” Last week, an elderly African-American man was walking through a wealthy neighborhood just outside of Washington D.C when he was confronted by two African-American Washington Metro Police. Without any reason, the officers stopped the man and began to question him. The man had allegedly expressed some dissatisfaction with how he was being singled out, and the officers then ordered him to get on the ground.